Around November of 1949, a piano tuner from Nebraska and a daughter of a sheep rancher from Montana had a serious accident in Anchorage Alaska. Nine months later a small baby was born who immediately caused the doctor to spank the mother. Me. On hindsight, the reason I was born so far away from Nevada City was because I wanted to be close to my mother. When I was four years old, my family moved to Nevada City, California. I attended Nevada City Elementary School, Seven Hills School, and graduated “Lorde How Come” from Nevada Union High School in 1968. Then, off to Sierra College in Rocklin to obtain an Associate of Arts Degree before attending California State University in Sacramento. There I graduated with a Bachelor of Arts Degree in Philosophy and Religious Studies, so I could space out while working at used bookstores. During the course of my schooling, I realized that my interests centered in the areas of nutrition, mental dynamics, and holistic health in general. I was soon fortunate to meet and take classes from Dr. Bernard Jensen, a chiropractor / naturopath / iridologist / nutritionist and partial saint who was one of the first Western doctors to ever visit Hunza. Hunza is the little state at the top of what then was Northern India (now Northern Pakistan) that became famous for having the healthiest and longest-lived people on the planet. Dr. Jensen studied their diet, soil, and composting methods, returned to write and teach about soil and nutrition. Most of my approach to diet and soil is based on his work and that of Dr. Weston A. Price. It is interesting to note that the father of organic gardening in the United States, J. J. Rodale, who founded Organic Gardening and Prevention magazines, took his original soil and composting information from Sir Robert McCarrison, an English doctor who also traveled to Hunza and studied the “Hunzakut” lifestyle. During this time I also practiced “Rolfing,” a deep muscle therapy developed by a cantankerous dedicated health practitioner named Ida Rolf. My work in religious studies also continued with three months of study with the infamous Maharishi Mahesh Yogi as well as visiting other guru types. I also studied the written work of the “Sufis,” a group that make up the esoteric side of Islam. (Their counterpart in Christianity would probably be the Essenes). My family has also been exposed to Tibetan Buddhism for the last fifteen years, as the Tibetan refugee nuns and monks stay at our farm when they come to teach in Northern California. In 2000 in Nepal, we were privileged to stay for two weeks at the Kopan Nunnery outside of Katmandu. We were allowed to observe their practices and lifestyle, and listen to the Tibetan refugees sometimes very sad and gruesome stories. It was like talking to American Indians around 1840. I was the first “man” ever allowed to stay in the nunnery. No comment. Anyway, being quite discouraged with the predominantly allopathic, or “treating-symptoms-with-drugs-and-surgery” approach of the existing medical establishment and their tight financial weave with drug companies and other criminal elements, I was fortunate to stumble across the practice of chiropractic. I immediately became excited with the great possibilities of a more natural primary health care discipline that was based on scientific principles, and involved an element of physical and mental art as well as Yay—lots of philosophy! This was indeed what I had been seeking, and soon enrolled in the four-year program at Palmer College of Chiropractic in Davenport, Iowa, obtaining my Doctorate in 1977. While attending Palmer College, I became further certified in Applied Kinesiology, the Palmer Upper Cervical Specific, and Gonstead Disk Work, as well as being certified by the National Board of Chiropractic Examiners. In addition to the chiropractic qualifications, I also became certified as a legal husband when I married Diane, a schoolmate from Sacramento. She received her degree as a Speech and Language Therapist and regularly assists as our office manager when not being a grandmother. She also is a yoga teacher for our patients, a leader in the La Leche League (a pro-breast-feeding organization), a Natural Childbirth Educator, and an excellent mother and sturdy farm boss. However, be it known that I wear the pants in my family. (But, I also wash and iron them!) Diane was very active in Waldorf education forever, and also served on the Board of Directors of the Foothill Theater Company. She was trained to be a teacher of the transcendental meditation technique in Arosa, Switzerland in 1976. At present, we have four children who are perfect in every way: Heather Rose, mother of three, who was born at our home in Iowa; Anya Elizabeth, mother of two, born at our home in Grass Valley; Clare Angela and Bo Alexander, both born at our home in Nevada City. After graduating from Palmer Chiropractic College, I still felt there was something very important I needed to learn before starting my chiropractic practice. Mainly, how to zero in and define spinal problems with a minimum of technical gadgetry, intrusive methods, and x-radiation used on the patient. In other words, how to be very simple, and yet very accurate in defining and correcting a person’s spinal dysfunction. To learn a “no gadgetry” manual system of such intricate exactness, I traveled with Diane and four-month-old Heather Rose, to spend the winter of 1977 in Brussels, Belgium, doing research and studying with the now-deceased world famous chiropractic diagnostician, Dr. Henri Gillet. Dr. Gillet’s father was, incidentally, the first chiropractor in Belgium, as well as a beneficiary of the wisdom of Dr. Daniel Palmer, the founder and developer of chiropractic. Because the use of X-ray had always been illegal for chiropractors in Belgium and in most of Europe, Dr. Gillet’s father was compelled to start devising an intricate process of spinal palpation in which spinal joint movements were evaluated solely through the use of specific pressures and movements applied by the chiropractor to determine resistance. 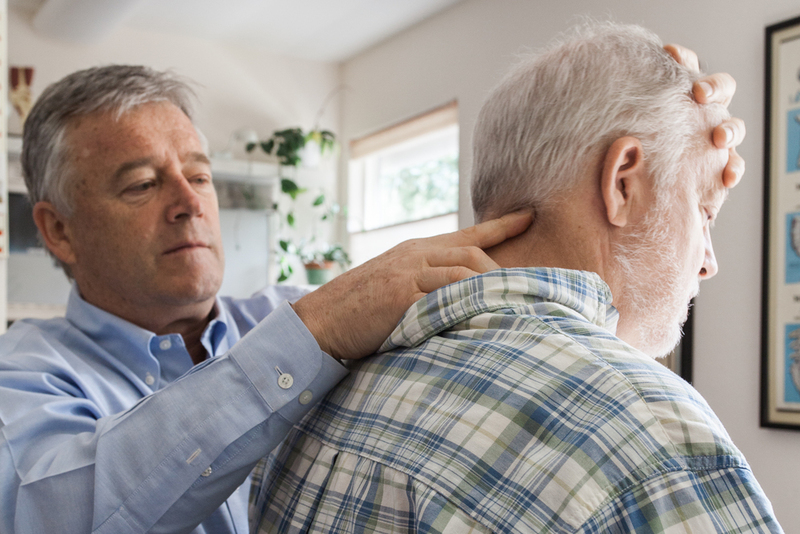 Dr. Gillet started learning this particular technique from his father, and added over 60 years of his own experience to become the foremost chiropractic authority in the known world on spinal movement palpation. Without the benefit of X-rays, he contributed greatly to the accepted definition of “normal” mobility patterns of the pelvic girdle and rib cage, which had been previously unknown to students of the spine, even those then equipped with the most modern X-ray cineroentgenological “movies” of spinal movement, such as, most famously, Dr. Fred Illi in Switzerland. Before I left Brussels, Dr. Gillet granted me the status of instructor and interpreter of the Gillet technique of spinal movement palpation, with authorization to instruct at chiropractic colleges and seminars. This was, indeed a rare honor, in that only one other person in North America, Dr. John Faye of Ottawa, Canada, has been authorized to instruct in this special technique of spinal analysis. (Incidentally, Dr. John Faye was the first Doctor of Chiropractic ever to be chosen as a team doctor for the Canadian Olympic team in 1984.) To this point, I have been privileged to extend this instruction to selected students at Palmer College in Iowa, the National College of Chiropractic in Chicago, Life Chiropractic College in San Lorenzo, Parker College in Dallas, Western States College in Portland, and Palmer College West in Sunnyvale. In December of 1982, I joined the faculty of the Motion Palpation Institute and assisted Dr. Faye in seminars, instructing practicing doctors of chiropractic throughout the United States. I look upon the work as the first rational system of spinal analysis there has ever been in chiropractic, or the art of spinal manipulation in general, to properly analyze spinal and peripheral joint function. Certainly, spinal manipulations and “adjustments” have been performed throughout history, but no proper “objective” rationale has ever been put forward which can be explained to the patient, much less the scientific community. Herein lies my enthusiasm for this work and its potential impact on the medical and patient community. In October of 1987, I had the good fortune to attend the first-ever International Chiropractic Convention in London, England. It was very pleasing to see that the major emphasis in research was on joint mobility, and the consequent neurological changes. It is also interesting that the North American Academy of Manipulative Medicine, an organization of medical doctors, particularly European, attempting to learn chiropractic, use mobility analysis as the main rationale for their spinal manipulation. Hopefully, the old “bone out of place / bone back in place” thinking, which has crippled the chiropractic profession intellectually for years, is on its way out. Now that chiropractors are learning about jets, we can forgo insisting on mules and biplanes. Upon returning to California from Belgium, I obtained my first “paying” chiropractic job with Dr. Laverne Anderson in Oxnard. As he was one of the most renowned chiropractors in California, I was privileged to work with a tremendous assortment of patients and problems. Dr. Anderson also had many celebrities as patients, and it was always fun to see famous people walk through the door to be my guinea pigs. Listening to Dr. Anderson’s stories was fascinating, as he had quite a reputation among racehorse owners for having restored unstable horses. So, after 33 years of adventures in chiropractic, our little baby son Bo is already a hardy, fearless Cal-Fire firefighter, considering being a chiropractor. Heather is now working in our office as a “functional medicine, women’s, baby and early childhood chiropractor.” She became a doctor of chiropractic in May of 2009. Anya, after graduating at the top of her class at U.C. Berkeley, and with honors at London School of Economics, is getting her Ph.D. in peace and conflict studies back in Syracuse, New York. Baby Clare recently graduated from U.C. Berkeley, and if smart enough may also be a chiropractor one day! Thus, at some point the whole Jacobson famdamily had best help end all conflict, and all war in the world while bringing back a healthy and coherent population who make healthy, “organicallygrown” babies from healthy organic composted soils, and who practice preventative health measures such as eating organic foods, building strong gut microbes, utilizing chiropractic care, natural childbirth and breastfeeding, while fighting house and forest fires. It is a quite modest goal, but some family has to do it. We continue to live on a 20-acre “teaching farm” in Nevada City, in an attempt to raise our family and friends as close to nature as possible. We have raised a mule, rabbits, donkeys, chickens, pigs, sheep, goats, ducks, cows, ponies, horses, gardens, orchards, and huge compost piles, which allow us to observe nature at work, and hopefully build an abundance of self-reliance and respect for all life. Optimum health is nature obeyed. All this incessant activity can, I hope, be translated into assisting a better quality care for all of our patients and all friends everywhere—especially the ones we haven’t met yet. I look forward to our relationship, and being part of your lifetime health care, as long as we both live long enough. I’m very grateful for all the work that you didn’t my neck (and back.) Its feeling great, and I do my neck exercises every day as you advised, along with yoga and stretch exercises, even if we’re on a road trip. The results are: I have more energy and I’m more limber. Also, I’m walking taller and my posture is better, as I’m mentally carrying two elephants, one in each hand; especially on our long daily walks. I’m committed to staying as healthy as I can be. I really appreciate your “Guide to Healthy Living” the book you and your family put together on exercise, diet, enlightenment and warnings. We refer to it often and frequently discuss and remember your input and epistles at mealtime. We have made many adjustments, omissions and welcome additions to our organic diet. We’ve especially enjoyed discovering sauerkraut and raw milk.